Mr. S. N. Goenka, a businessman from Burma, came across the technique of Vipassana meditation and got immensely benefitted in every aspect of life. Along with the practice, he also started reading words of the Buddha. He was pleasantly surprised to find that all the misconceptions prevalent in India about the Buddha and his teachings were baseless. After tasting the nectar of these eternal teachings, he decided to write this book, as a symbol of gratitude towards the Buddha and to dispel the misconceptions about this great son of India. ‘Buddhasahastranam’ – thousand names of the Buddha, reflects each and every quality of the Buddha, who was an embodiment of all the great virtues. These virtues, arranged in a 210 verses (stanzas) are composed by Mr. S. N. Goenka in a Pali-Hindi language. These verses also provide an insight into the Buddha’s teachings - universal, non-sectarian, free from any beliefs or dogmas and based on a scientific study of mind and body with penetrative wisdom. 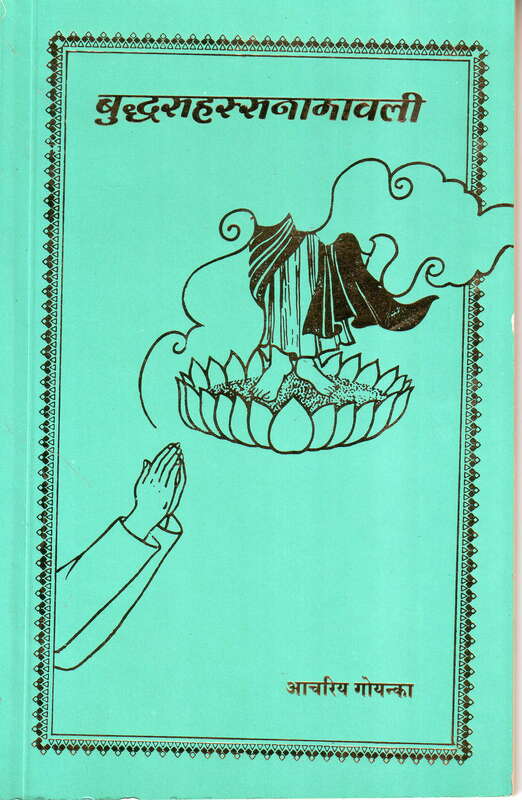 ‘Buddhagungathavali’- a book describing qualities of the Buddha is an ideal companion volume with this book.